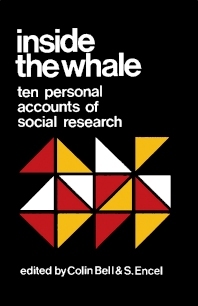 Inside the Whale: Ten Personal Accounts of Social Research compiles 10 papers studying different topics and reflections on social research. The first paper gives an insight into pursuing a career on social research, which is followed by a paper discussing powers in the society. Then, a paper describes an attempt to reform some Australian housing and banking processes. Topics on accepting social research consultancies in the 1970s; researching academic women; and assessment of social change on Bougainville Island, Papua New Guinea are then presented. The remaining papers are devoted to reflections and reactions to a community study, Bradstow, and to the methods of doing social research. This book is best for sociologists, as well as to students and experts in the field and related disciplines.